Let me start of by saying I love how Ina Garten cooks. I have made many of her recipes and the one I am featuring today is one that I have made many times. 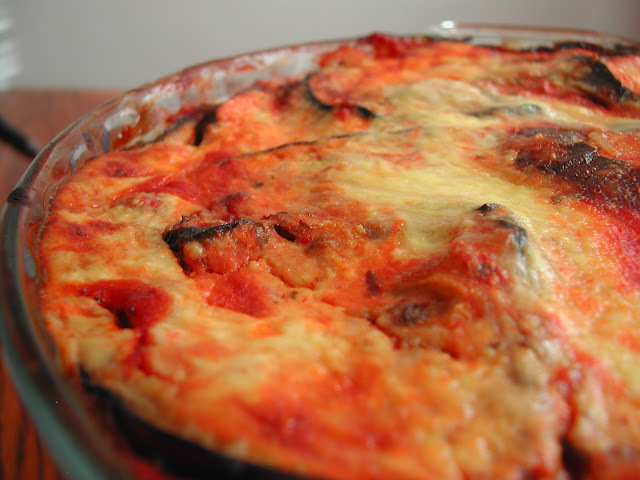 It is called Eggplant Gratin. This is a recycled recipe, I posted it last year. It is worth repeating. Sorry about the pictures they are BNC (before new camera). Ina Garten is a self taught cook, like so may of us. She used her favorite cookbooks to guide her along the way. She is a TV host, cookbook author and recipe developer. She is a former gourmet food store owner and former Policy Analyst for the White House. For today, she is game changer #40. Ina was born in Brooklyn, but raised in Connecticut. She would long to assist her mother in the kitchen, but her mother would insist she concentrate on her school work. In December 1968 she married Jeffrey Garten and moved with him to Fort Bragg where her husband served a four year military tour during Vietnam. After serving, they took a four month long camping trip to France. When the trip was over, they moved to Washington DC where Ina worked in the White House. She quickly climbed the latter and soon was writing policy papers on Nuclear Energy for Presidents Ford and Carter. In 1978 she left Washington and purchased The Barefoot Contessa. It was a specialty food store in New York.. They relocated several time outgrowing each location. After two decades of running The Barefoot Contessa, Ina sold the store to two employees. In 1999 Ina emerged again reinventing herself, this time as a cookbook author. By 2008 all her cookbooks sold over six million copies world wide. In 2002 she hosted thirteen shows for Food Network called Barefoot Contessa. In 2005 Garten signed a very lucrative contract with Food Network. It was reported to be a multi-million deal with multiple cookbooks. Ina lives with her husband Jeffrey and they divide their time among Manhattan, East Hampton and Paris. Preheat the oven to broil..
Cut the eggplant into 1/8 inch slices. sprinkle salt and pepper and olive oil on them toss to combine. Arrange eggplant on a broiler pan. Broil until golden brown. Turn and brown on other side. Set eggplant aside to cool. Reset oven to 400 degrees. Meanwhile, in a small bowl, mix together the ricotta, egg, half-and-half, 1/4 cup of the Parmesan, 1/8 teaspoon salt, and 1/8 teaspoon pepper. spoon 1/2 of the marinara sauce. more salt and pepper, half the ricotta mixture, and finally 1 tablespoon of grated Parmesan on top. Place the gratin on a baking sheet and bake for 25 to 30 minutes or until the custard sets and the top is browned. Serve warm. The following bloggers are also featuring recipes from Ina Garten. Please pay them a visit and see what they have to bring to the table. Please join us next week when we feature Elena Arzak. It is easy to see why this recipe would be repeated over and over again. Can’t wait to try this recipe. I will cook eggplant every time I get the chance. Thanks for this chance! I don’t mind recipe repeats – especially when they look as good as this! I love eggplant Parmesan but I rarely make it because I hate draining, breading and frying the eggplant, etc. This seems like a perfect alternative to get the taste without the bother. Your old camera did a good job of making this look delicious, great post! My hub adores eggplant (I grill it); we’re having this! Great post and good luck with the new camera. I got mine (Canon G12) and am now trying to get used to it. I’m always getting grease on the lense! I also am obsessed with her, and this dish looks amazing! 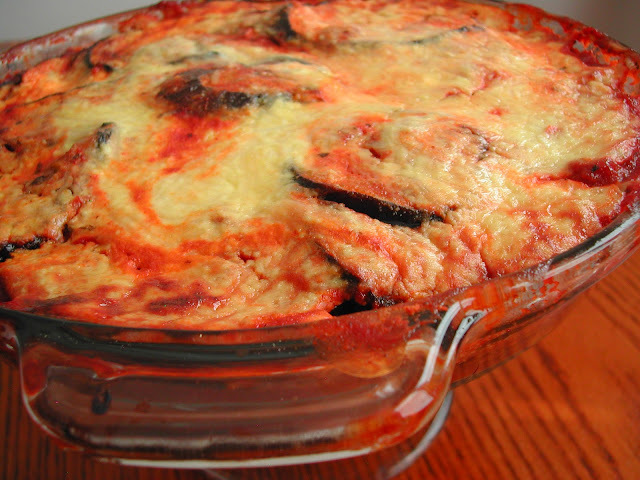 I have never even thought of doing an eggplant gratin. So good! 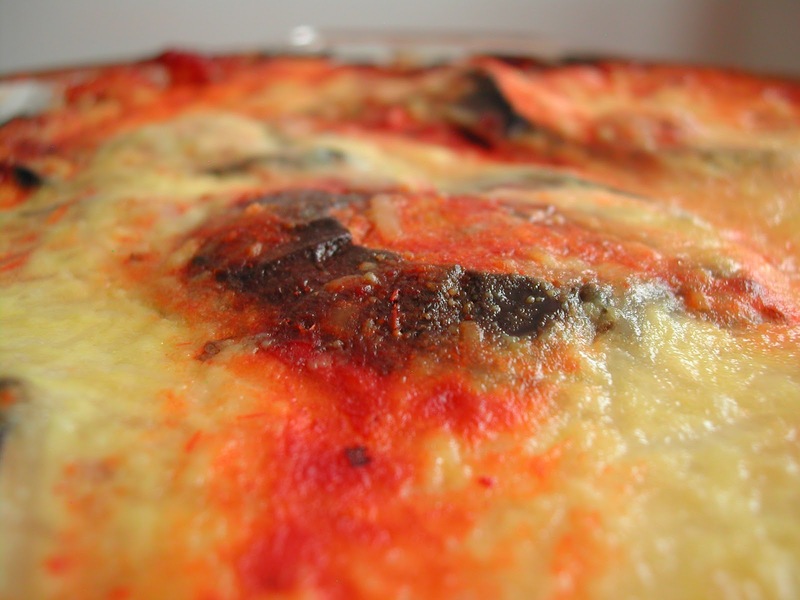 You cannot beat an Ina Garten recipe…I know this gratin must taste amazing! I think I’ll be making this soon! It looks very tasty, but a little less involved than eggplant parmesan. Oooooooh yes! I’ve made this many times before and have gotten nothing but love from whoever’s eaten it. All of Ina’s dishes seem to have that effect. Not one single time did her recipes disappoint! I think Ina Garten is America’s Delia Smith. Her recipes are foolproof and always interesting. I never knew she was self-taught! Perhaps it’s the best way as the cooking comes from a love of food rather than a set of rules learnt at college. Really love this recipe! I love eggplant!! Hi Veronica yes I agree with you Mrs garten is a huge influence in my kitchen. I also agree with Hester, Delia smith is also inspiring. I love watching Chefs teach us all sorts of culinary tricks but these women cook fm the soul. Enjoying your blog.